When you stay at Hotel Casa Palopo in Panajachel, you'll be 13 minutes by car from The Maya Traditions Herbal Medicine Garden. 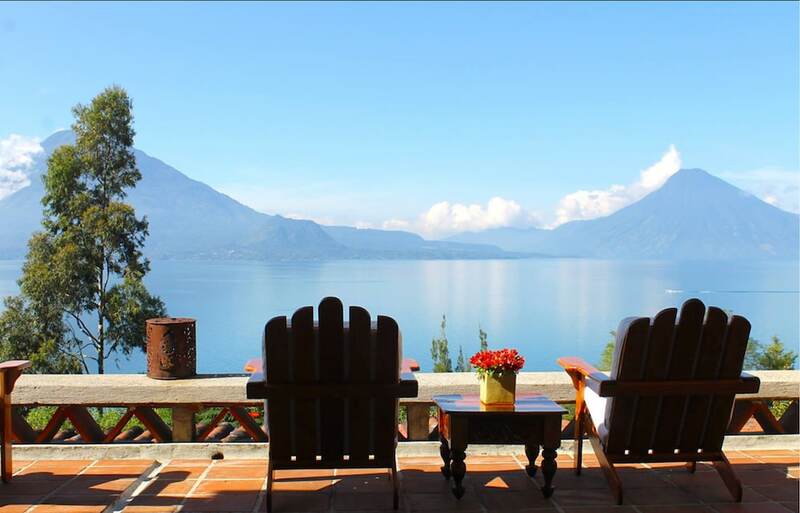 This 4-star hotel is 3.2 mi (5.2 km) from Church of Saint Francis and 3.3 mi (5.3 km) from Panajachel Municipal Market. Make yourself at home in one of the 9 guestrooms featuring minibars. Rooms have private balconies. Complimentary wireless Internet access is available to keep you connected. Private bathrooms with showers feature rainfall showerheads and complimentary toiletries. Pamper yourself with onsite massages or enjoy recreation amenities such as an outdoor pool. This hotel also features complimentary wireless Internet access, concierge services, and gift shops/newsstands. Grab a bite to eat at the 6.8 Palopó, a restaurant where you can take in the garden view, or stay in and take advantage of room service (during limited hours). Wrap up your day with a drink at the bar/lounge. Continental breakfasts are available daily from 7 AM to noon for a fee. The hotel offers a restaurant. A bar/lounge is on site where guests can unwind with a drink. Public areas are equipped with complimentary wireless Internet access. For a surcharge, a roundtrip airport shuttle (available 24 hours) is offered to guests. This business-friendly hotel also offers an outdoor pool, spa services, and a library. Concierge services and wedding services can be provided. Onsite self parking is complimentary. Hotel Casa Palopo is a smoke-free property. Continental breakfasts are available for a surcharge and are served each morning between 7 AM and noon. 6.8 Palopó - Overlooking the garden, this restaurant serves breakfast, lunch, dinner, and light fare. Open daily. Rollaway/extra beds are available for USD 75.0 per day. This property offers transfers from the airport (surcharges may apply). Guests must contact the property with arrival details before travel, using the contact information on the booking confirmation. Reservations are required for massage services and spa treatments. Reservations can be made by contacting the hotel prior to arrival, using the contact information on the booking confirmation. Children 10 years old and younger are not permitted at this property. Hotel Casa Palopo is listed in the 2015 Condé Nast Traveler Top 100 List.